Home Why choose an endodontist? Endodontists are dentists with minimum two additional years of advanced specialty education in diagnosis and root canal treatment. A specialist in endodontics deals with diseases of the dental pulp and the supporting structures as well as diagnosis of facial pain and related problems on a daily basis. 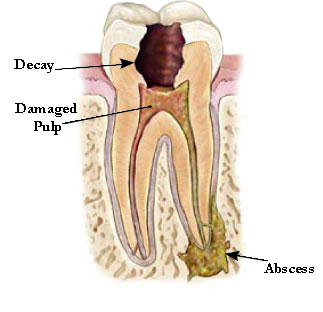 They use special tests to confirm the diagnoses and to ensure the root canal treatment is really necessary. They use their special training and experience in treating difficult cases, such as teeth with narrow, blocked canals or unusual anatomy, or treating cases that are beyond the comfort zone of the referring dentist. The training, tools and techniques of endodontists have advanced a lot in recent years enabling more predictable treatment outcomes. 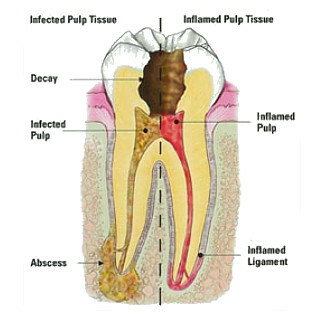 Today, getting root canal treatment is often no more uncomfortable than having a filling. This simple treatment can save your natural teeth and prevent the need for dental implants or bridges or dentures. Saving your natural tooth should always be your first choice when dental care is needed, and is the preferred choice over tooth extraction.